The Amalfi Coast does not need great presentations, breathtaking views, crystal clear sea and dream locations; this true natural wonder manages to please everyone's tastes. Its wild and elegant design at the same time makes it a unique place where the beauty of the place blends with the art of hospitality and excellence in the area of food & beverage. The island of Gods has always been a true certainty for destination weddings. Romantic and rich in history had already been chosen by Emperor Tiberius as a dwelling in the last years of his emperor's life. Luxury venues or wonderful private villas, immersed in nature, are the perfect locations that this island offers for an unforgettable wedding in the shadow of the Faraglioni. 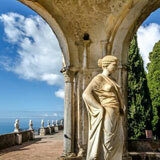 Set on a cliff from Ravello you can admire all the magnificence of the Amalfi Coast. Small and harvested, with its narrow streets and historic villas, it is possible to enclose in all corners of rare beauty. A real gem to celebrate their "suspended" marriage between heaven and earth. 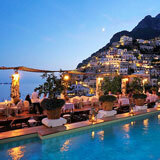 Positano is undoubtedly one of the Mediterranean pearls. "Perched" on a cliff develops almost vertically until it reaches the crystal-clear sea of the Coast. In this small wonder the little streets intersect among themselves and create wonderful views thanks to a unique panorama of its kind. Marrying in Positano allows you to appreciate, in its entirety, the wonderful Italian hospitality thanks to the location and the perfect details of the surrounding architecture. 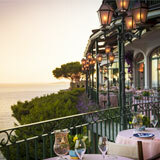 Sea, breathtaking scenery and all the beauty of the Sorrento Coast. A wedding in Sorrento is a real dream for many couples who want a unique and unforgettable day. Luxury resorts or private beach villas, this place is perfect to make the day really special. Lake Como has been able to inspire writers and poets over the centuries and, at a recent age, has become a destination for Hollywood's greatest stars. 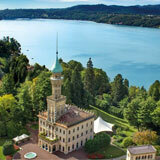 A true art work of nature surrounded by wonderful villas full of history and mystery. This lake is the ideal destination for those looking for a unique wedding and an unforgettable panorama whether in a villa lying on the lake or in a resort harvest. Vineyards, enchanted villages and uncontaminated nature. 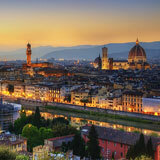 Tuscany has attracted an increasing number of Italians and foreigners for years who want to celebrate a country-chic wedding. Its ancient houses surrounded by long stretches of vineyards make it the ideal location for a perfect wedding party. Crystal clear sea, fully restored farmhouses where the concept of luxury and relaxation blend perfectly; Puglia has become, in recent years, one of the favorite destinations for Italians and foreigners for weddings with good food and nature. The locations of this wonderful region are so many and in each of these you can breathe all the typical atmosphere of this land, rich in art and history. Italy and the Tyrrhenian coast boast a considerable number of islands, from Ischia to the small Procida, passing through the island of Elba or Ponza. All these small sea strongholds boast a considerable number of locations or boutique hotels or resorts perfect for any type of wedding or event. What's more romantic about celebrating your wedding on the beach? Lake Maggiore, Lake Garda, Lake Orta, Lake Iseo; Northern Italy boasts true natural and landscape uniqueness. These lakes offer the opportunity to marry in any type of location or, even, enjoy a private wedding on a wonderful island such as the Island of Garda. A unique wedding party in unique villas or resorts, world-class excellence not only in the reception but also in the food industry. 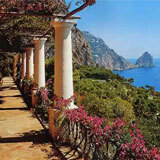 Wild beaches, the Caribbean Sea and a starry sky; getting married in a natural paradise is the dream of many Italians. A wedding party that becomes a real vacation for spouses and guests. Is there perhaps a better way to make this day unforgettable?